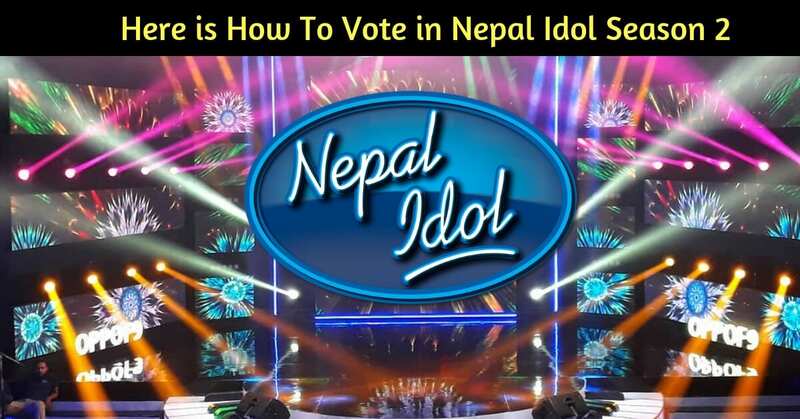 Do you know, how to vote in Nepal Idol Season 2? If No, keep on reading; here you can find Nepal Idol Season 2 voting method from Nepal as well as abroad. Starting from the September 27th, Nepal Idol Season 2 is on elimination round so that your single vote is valuable to save your favorite contestant. If you are following the Nepal Idol Season 2 from the beginning, you might have known how can you vote in Nepal Idol Season 2. But if you don’t know, this session will help you to understand the voting procedure of Nepal Idol Season 2 and the voting timing. Additionally, for your convenience, we have listed the voting code of every contestant of Nepal Idol Season 2. Kindly, find the information at below. If you are in abroad, you have the only option to vote in Nepal Idol Season 2 and i.e., online voting from Respect and Rise App. As we already mention that Respect and Rise app is only the official voting app in this season 2. If you have the previous year’s Nepal Idol App, that will not work in this season. Thus, you can download the official online voting app from the link given below. If you are in Nepal, you have two options to vote your favorite contestant in Nepal Idol Season 2. One you can vote by SMS and another way you can vote online from Respect and Rise App. For an example, if you want to vote to contestant Bikram Baral; Type 03 and send it to 31009. Even from Nepal too, you can download Respect and Rise app for online. It is available in both android version and iOS version. You can download the official Respect and Rise app from the link given below.